If you've been a reader for any period of time, you'd know I'm an avid tights wearer--I just love the barely there feeling of tights and how cute my tattoos look through them. So, when I was offered to write a post about Berkshire's Easy On Tights, I was more than happy to oblige. 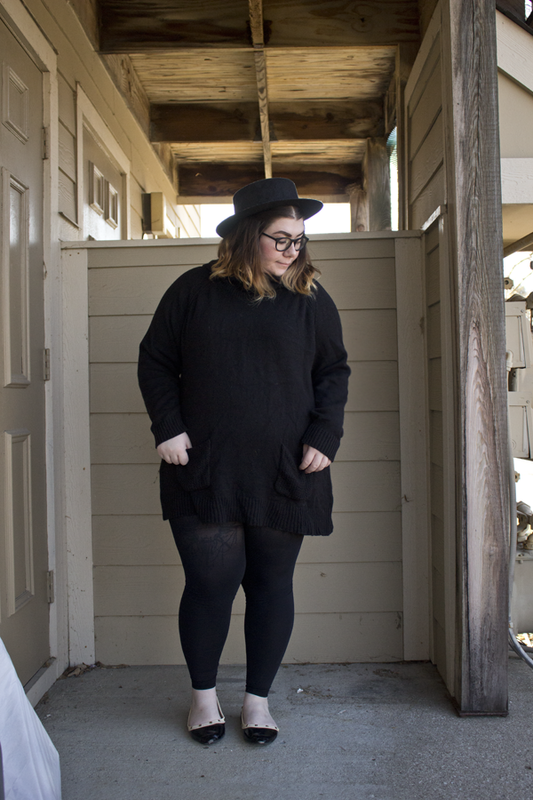 Footless tights are super cute paired with tunic length dresses, but they're also great for layering under socks to alleviate that sweaty foot feeling you can get with footed tights. I paired this pair of Berkshire footless tights under a pair of high socks for a warm winter outfit! Alternatively, footless tights with a pair of flats or ankle boots are fantastic, too! The little portion of ankle is chic and flirty and instantly makes an outfit look more casual. Capri length tights are lovely with tunic length dresses, as well, for a breezy and cool outfit. The Easy On Footless and the Easy On Capri tights have the same features that all The Easy On Tights are known for; cooling fibers with ventilation and extra stretch for room at the top. Not to mention the Easy Fit waistband, which is a dream for comfort! 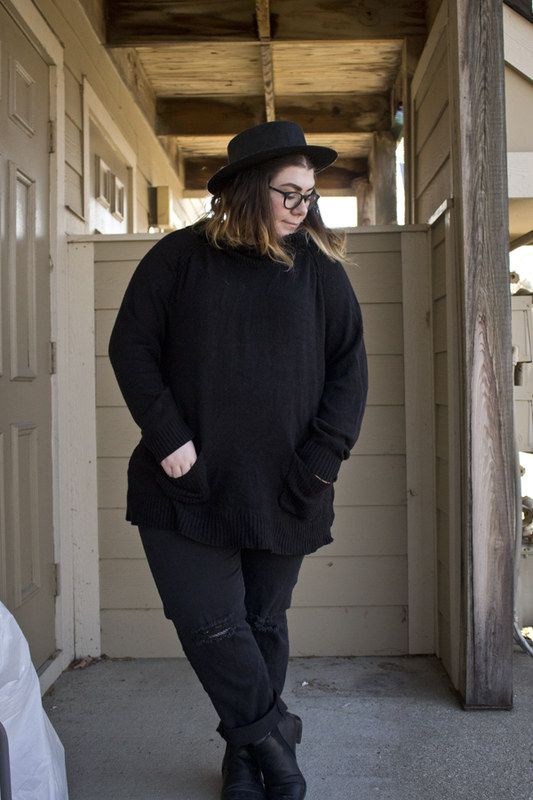 Fishnets are such an edgy and cool way to amp up an outfit, especially in the winter. Putting fishnets under holey jeans for an added effect screams alternative and is a way to stretch the life of your holey jeans. You could also layer them over a pair of colored tights for texture! 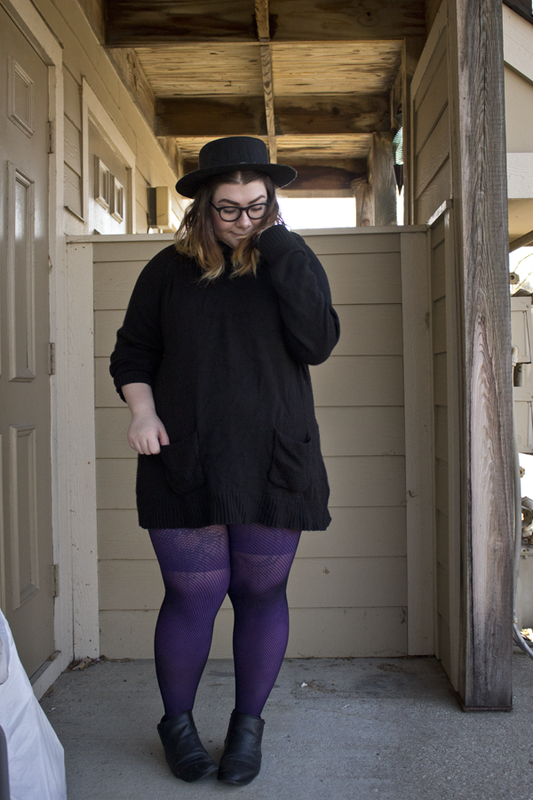 I layered these fishnets over a pair of purple Berkshire Easy On Tights! I received these items for free for review, but as always, all opinions are my own! You can check out Berkshire here!